Despite facing his stiffest competition yet, Recep Tayyip Erdoğan won the June 24th election, further cementing his power. Recep Tayyip Erdoğan has dominated Turkish politics since his rise to prime minister in 2003 and later as president. During that period he has slowly gained control of almost all levers of power. However, when it came to yesterday’s presidential and parliamentary elections, the first in Turkey’s history, there were doubts that Erdoğan could pull out an easy victory. While normally it is a sure thing to bet on him, his opponents seemed united in challenging him. In the end Erdoğan won in the first round of voting, capturing over 52 percent of the vote. Also, his ruling party, the Justice and Development Party (A.K.P. ), had a strong showing and retained their majority. Erdoğan’s opposition had a lot of fuel in challenging him this time around. Turkey’s agriculture has collapsed, the value of the Turkish lira has plunged, and food prices have been rising. The Kurds, who in the past provided a key source of support, have been leaving Erdoğan because of his policies, particularly his military operations against the Kurds in Syria’s Afrin region. The Kurdish Peoples’ Democratic Party (H.D.P.) made a strong showing in the elections, garnering more than ten percent of the vote, passing the national election threshold. The H.D.P. has been criticized by Erdoğan as being part of the Kurdistan Workers’ Party (P.K.K. ), which is listed as a terrorist organization by Turkey. 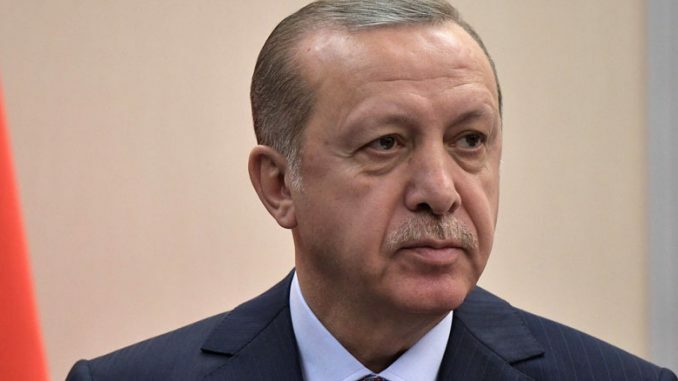 With his new victory, Erdoğan gains even more powers. The new powers were narrowly won in a referendum last year in a vote where fairness was also questioned. Under the new system Erdoğan will gain wide-ranging executive authority, the further curtailment of parliament’s power, and the abolition of the office of the prime minister. Yesterday’s win cements Turkey’s government as a one-man regime.